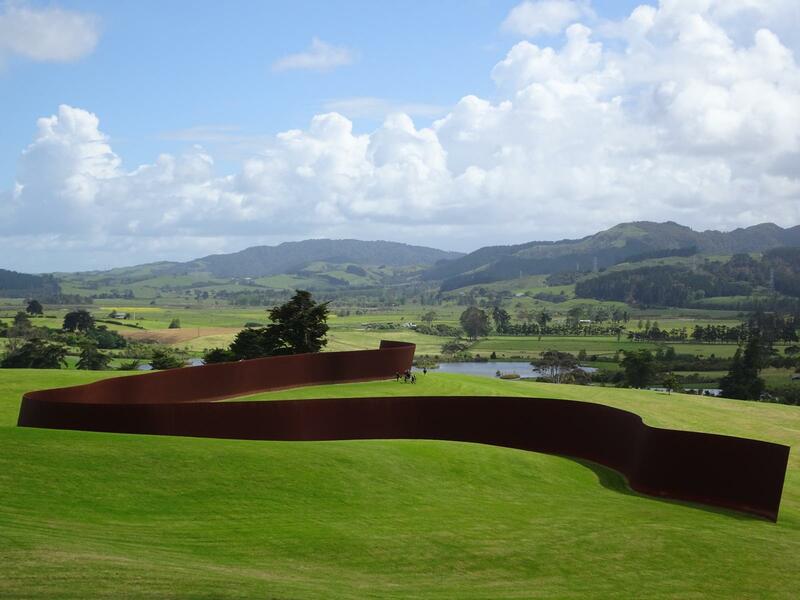 Gibbs Farm in New Zealand is a private sculpture park on the site of billionaire Alan Gibbs in Kaipara Harbor, New Zealand. 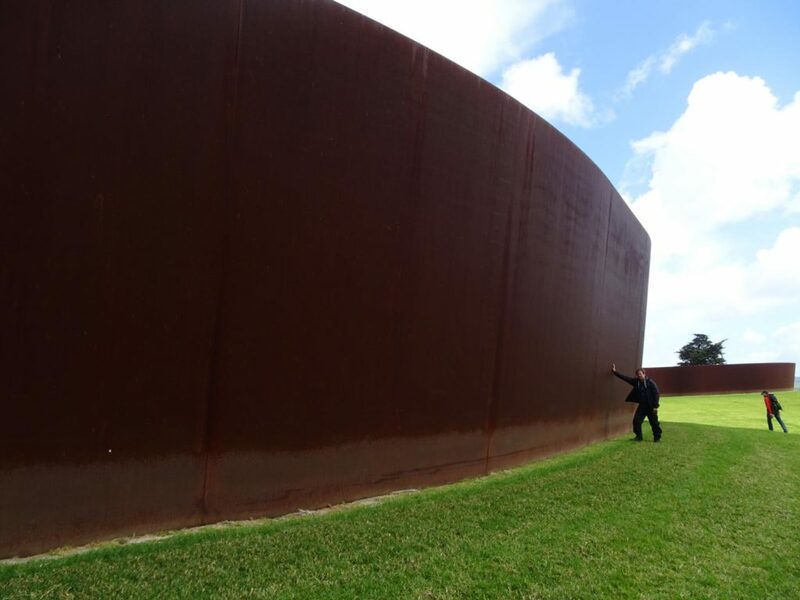 On the large property are numerous, mostly surreal works. 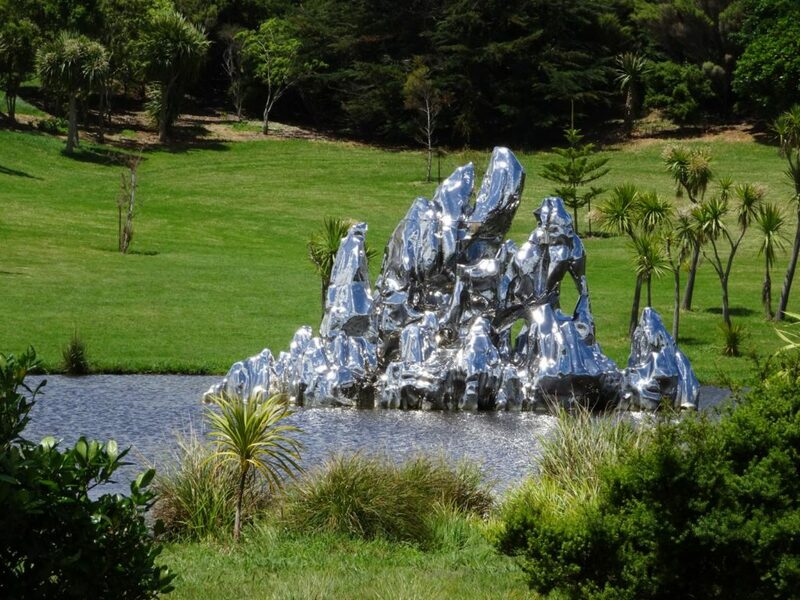 The billionaire Gibbs regularly invites well-known artists to his home and lets them design the most incredible sculptures. The artworks are unique, colorful and huge. 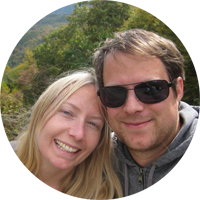 Alan Gibbs always opens his property on the first Thursday of each month for interested guests. Admission is free. 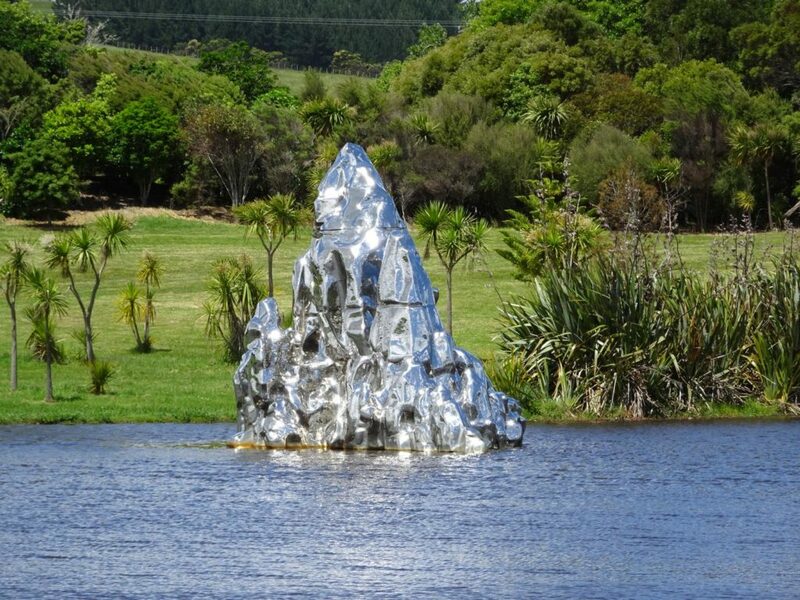 Just go to gibbsfarm.co.nz and register for visit. You will need an invitation to get on the property. The site is open from 10am to 2pm. You better be punctual, because to look at everything, you will definitely need the 4 hours! 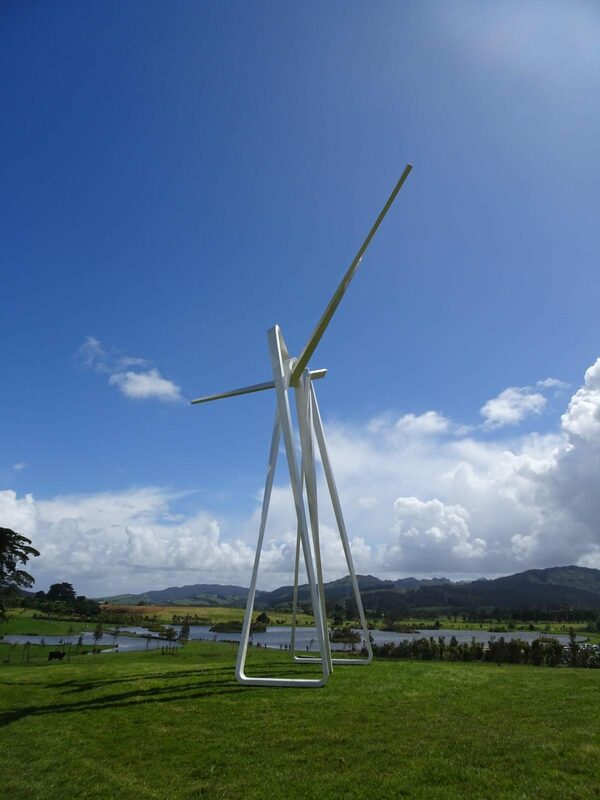 Here is a brief overview of the artworks on Gibbs Farm. 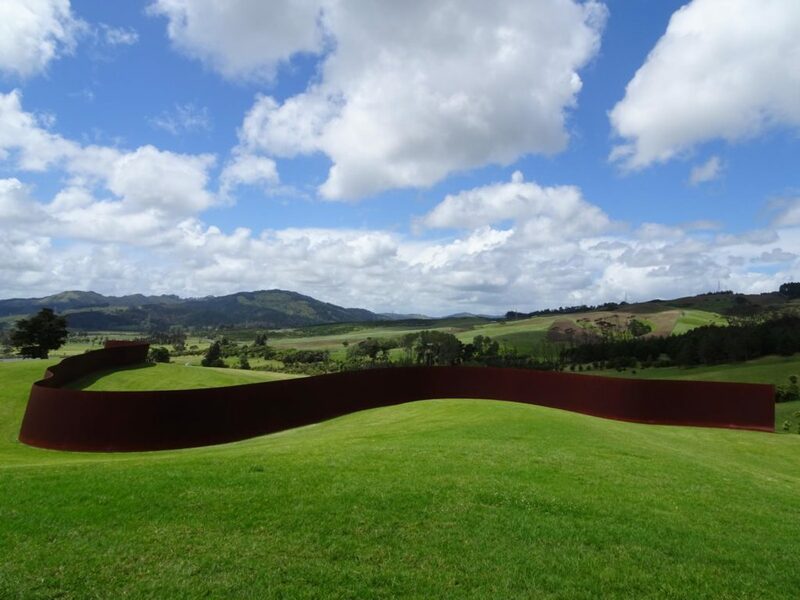 Painted steel plates in a rectangular shape, 135 mm x 360 m., height: 14,5 m.
Please proceed for more spectacular sculptures!